​Get to know Jesus and deepen your relationship with Him during Lent. 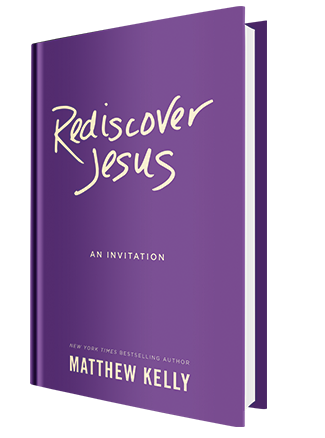 Come join our book discussion group using "Rediscover Jesus" by the New York Times Bestselling author, Matthew Kelly. We will meet on Wednesday's to share our thoughts, insights, wisdom, and understanding of Jesus' message for each of us and for our world. Greater Woodbury Cooperative Ministry (GWCM) Lenten Study Group will be held this year on Wednesdays at Holy Angels Parish, in St. Patrick Lower Church at 7:00PM. The date of the first of six sessions is February 21ST. The topic this year is Rediscovering Jesus, a book study by Matthew Kelly. GWCM is our local ecumenical consortium of nine churches in Woodbury. Come participate in a wider Christian forum. ​To sign up, call Jerry or Jean Washko at 856-845-6944. Be sure to call to get your book prior to Ash Wednesday so you will read up to date by February 21.